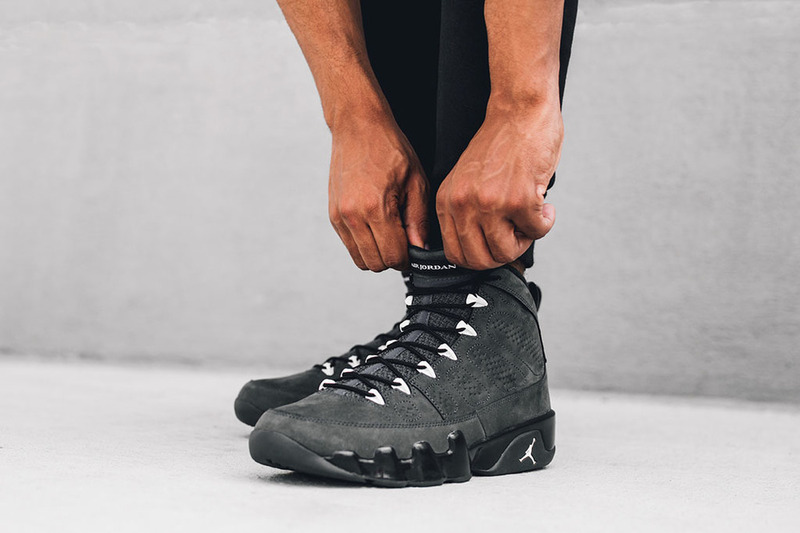 Jordan Brand's next big release is the Air Jordan 9 “Anthracite." This Air Jordan 9 should be pretty popular considering the sneaker looks very similar to the "Oregon PE" we've grown to love. The sneaker hits retailers in honor of Jordan Brand's 30th anniversary. 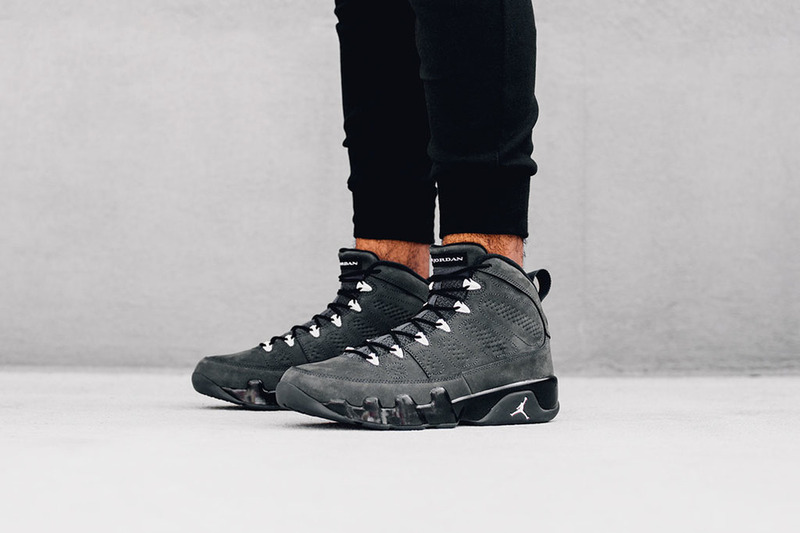 Done up in nothing but premium materials, the Air Jordan 9 “Anthracite” looks great in photos. 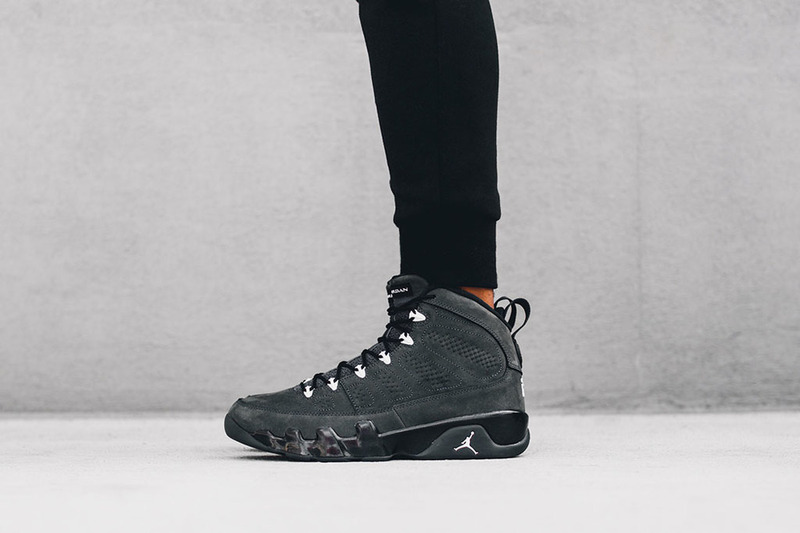 Anthracite is this sneaker's main color scheme as it's featured throughout every part of the design. White finishes include the eyelets, tongue, and heel. Scheduled to release September 5th, let us know if you're planning on copping a pair next weekend!